Are you ready for an unforgettable dental experience? Welcome to Soams Dental, where Dr. Kemi Gerfen has been creating Hollywood smiles for everyday people for more than a decade. As a leading family and cosmetic dentist in Danbury, CT, Dr. Gerfen has the background, experience, and passion needed to provide you with the very best in dentistry. 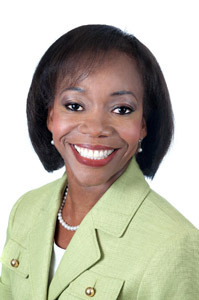 Dr. Kemi Gerfen, DMD, is an experienced dental professional committed to providing optimum dental care to patients of all ages. Dr. Gerfen is a member and fellow of the Academy of General Dentistry and a member of the American Dental Association. She believes in combining a kind, personable approach to dentistry with state-of-the-art equipment and modern dental techniques in the Brookfield and Danbury, CT area. At Soams Dental Care, you’ll receive personalized attention. We will take time to listen and understand your wants, needs, and concerns to create treatment plans tailored to your individuality. Dr. Gerfen offers a wide variety of services, ranging from preventative care to beautiful smile makeovers. Whatever your smile goals may be, Dr. Gerfen and our team look forward to helping you reach those goals comfortably.